Brad Johnson has come a long way since his teenage days working as a busboy and dishwasher at his dad’s popular Upper West Side New York restaurant, The Cellar. Today, the second-generation restaurateur is the owner of two Los Angeles restaurants, Post & Beam and Willie Jane. Those are just his latest foodie hot spots, Johnson has a list of noted restaurants and nightclubs that he’s either owned or operated since the ‘80s. His rise has included the 20/20 Club, owned by music legends Valerie Simpson and the late Nick Ashford, wherein he was hired to “re-concept” the operation; Memphis, a New Orleans style restaurant in New York; and Windows, a 10,000 square foot fine dining restaurant on the top floor of the AT&T building in downtown Los Angeles, just to name a few. Judging by Johnson’s 30-plus years in the business, he has found a recipe for success. Four key ingredients working in his favor: 1) choosing the right location, 2) identifying talented partners, 3) having a good concept and 4) landing a vested investor. Post & Beam is located in the Baldwin Hills Crenshaw Plaza, a mall that is owned and operated by Chicago-based Capri Capital Partners L.L.C. (No. 7 on the BE 100s assets managers list with $3.7 billion in assets under management). In addition to being Post & Beam’s landlord, Capri is an investor, having provided a undisclosed amount of capital to help launch the restaurant in 2012. Johnson adds the reason why restaurants, in particular some African American-owned establishments, don’t enjoy longevity is because most often it has to do with lack of property ownership and access to sufficient capital. Banks rarely give restaurateurs loans. 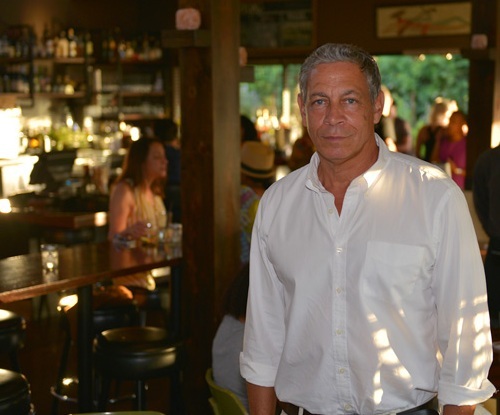 It was Capri Capital‘s vice chairman of investments and partner Ken Lombard (Magic Johnson’s former business partner) who tapped Johnson to open a restaurant on the grounds of the 50 acre property. Capri turned the Los Angeles mall from a class C into a class A retail center in 2011.